EFFECT: The spectator is asked to name a breed of dog. It might be the name of a dog they particularly like or dislike, a neighbor's dog, whatever. 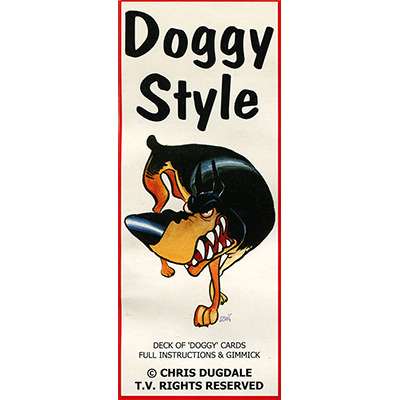 A deck of "doggy" cards is then removed. Each card in the deck has a different breed of dog on the face. The magician spreads the deck between his hands and one card is seen to be face-down in the face-up deck. The spectator may remove this card from the deck and turn it over to reveal the breed of dog that they freely named! Comes with special deck and complete instructions.